A newly unearthed missive from Lenny Bernstein, a climate expert with the oil firm for 30 years, shows concerns over high presence of carbon dioxide in enormous gas field in south-east Asia factored into decision not to tap it ExxonMobil, the world’s biggest oil company, knew as early as 1981 of climate change – seven years before it became a public issue, according to a newly discovered email from one of the firm’s own scientists. Despite this the firm spent millions over the next 27 years to promote climate denial. Bernstein’s response, first posted on the institute’s website last October, was released by the Union of Concerned Scientists on Wednesday as part of a report on climate disinformation promoted by companies such as ExxonMobil, BP, Shell and Peabody Energy, called the Climate Deception Dossiers. Asked about Bernstein’s comments, Exxon said climate science in the early 1980s was at a preliminary stage, but the company now saw climate change as a risk. Exxon, unlike other companies and the public at large in the early 1980s, was already aware of climate change – and the prospect of regulations to limit the greenhouse gas emissions that cause climate change, according to Bernstein’s account. 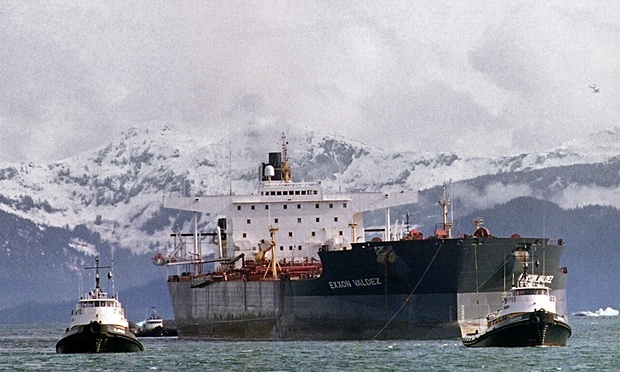 “In the 1980s, Exxon needed to understand the potential for concerns about climate change to lead to regulation that would affect Natuna and other potential projects. They were well ahead of the rest of industry in this awareness. Other companies, such as Mobil, only became aware of the issue in 1988, when it first became a political issue,” he wrote. “Natural resource companies – oil, coal, minerals – have to make investments that have lifetimes of 50-100 years. Whatever their public stance, internally they make very careful assessments of the potential for regulation, including the scientific basis for those regulations,” Bernstein wrote in the email. Naomi Oreskes, a Harvard University professor who researches the history of climate science, said it was unsurprising Exxon would have factored climate change in its plans in the early 1980s – but she disputed Bernstein’s suggestion that other companies were not. She also took issue with Exxon’s assertion of uncertainty about the science in the 1980s, noting the National Academy of Science describing a consensus on climate change from the 1970s. The White House and the National Academy of Sciences came out with reports on climate change in the 1970s, and government scientific agencies were studying climate change in the 1960s, she said. There were also a number of major scientific meetings on climate change in the 1970s. “I find it difficult to believe that an industry whose business model depends on fossil fuels could have been completely ignoring major environmental reports, major environmental meetings taken place in which carbon dioxide and climate change were talked about,” she said in an interview with the Guardian. The East Natuna gas field, about 140 miles north-east of the Natuna islands in the South China Sea and 700 miles north of Jakarta, is the biggest in south-east Asia, with about 46tn cubic ft (1.3tn cubic metres) of recoverable reserves. However, Exxon did not go into production on the field. Bernstein, who is now in his mid-70s, spent 20 years as a scientist at Exxon and 10 years at Mobil. During the 1990s he headed the science and technology advisory committee of the Global Climate Coalition, an industry group that lobbied aggressively against the scientific consensus around the causes of climate change. However, GCC climate experts accepted the impact of human activity on climate change in their internal communications as early as 1995, according to a document filed in a 2009 lawsuit and included in the UCS dossier. The document, a 17-page primer on climate science produced by Bernstein’s advisory committee, discounts the alternate theories about the causes of climate change promoted by climate contrarian researchers such as Willie Soon, who was partly funded by Exxon. “The contrarian theories raise interesting questions about our total understanding of climate processes, but they do not offer convincing arguments against the conventional model of greenhouse gas emission-induced climate change,” the advisory committee said. The 1995 primer was never released for publication. A subsequent version, which was publicly distributed in 1998, removed the reference to “contrarian theories”, and continued to dispute the science underlying climate change. Kenneth Kimmel, the president of the Union of Concerned Scientists, said ExxonMobil and the other companies profiled in its report had failed to take responsibility about the danger to the public of producing fossil fuels. Keil, the ExxonMobil spokesman, confirmed that the company had decided not to develop Natuna, but would not comment on the reasons. “There could be a huge range of reasons why we don’t develop projects,” he said. Below is the text of an email from Lenny Bernstein to the director of the Institute for Applied and Professional Ethics at Ohio University, Alyssa Bernstein (no relation), who had asked for ideas to stimulate students for an ethics day announced by the Carnegie Council. Alyssa’s right. Feel free to share this e-mail with her. Corporations are interested in environmental impacts only to the extent that they affect profits, either current or future. They may take what appears to be altruistic positions to improve their public image, but the assumption underlying those actions is that they will increase future profits. ExxonMobil is an interesting case in point. Political battles need to personify the enemy. This is why liberals spend so much time vilifying the Koch brothers – who are hardly the only big money supporters of conservative ideas. In climate change, the first villain was a man named Donald Pearlman, who was a lobbyist for Saudi Arabia and Kuwait. (In another life, he was instrumental in getting the US Holocaust Museum funded and built.) Pearlman’s usefulness as a villain ended when he died of lung cancer – he was a heavy smoker to the end.